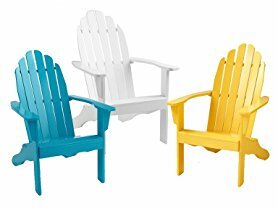 Today only these Cool-Living Painted Adirondack Chairs in select colors are only $39.99 (Reg. $99.99)! Great for a front porch or patio, this outdoor Adirondack chair is designed for comfort. Available in multiple colors, this simple and functional hardwood chair is a great addition to your outdoor area. This chair is perfect for napping or enjoying a sunset.